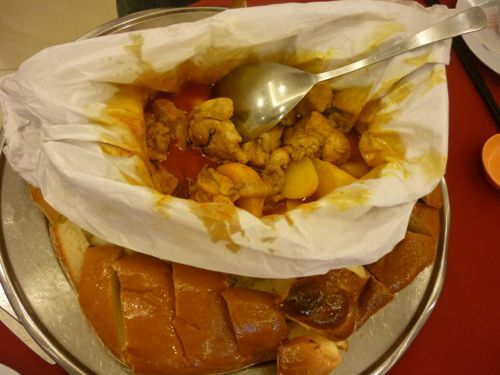 Kampar is famous for its chicken curry bread. Since we were near Kampar during our road trip, we made a special trip to enjoy the famous Kampar dish. 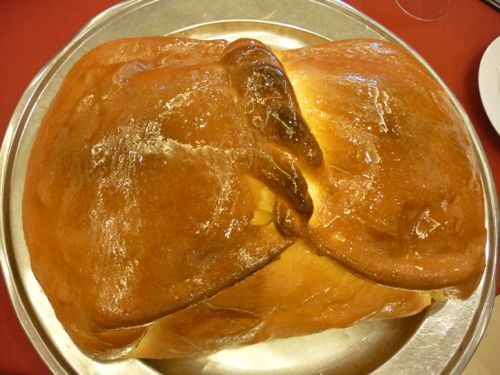 In Kampar, there are two restaurants that are almost as good as far as chicken curry bread is concerned. Since another friend of ours prefers Kam Ling to Yau Kee, we stopped at Kam Ling. I like the bread and it’s soft on the inside and crispy on the outside. When you dip the bread in the curry, it tastes heavenly. Kam Ling has transformed from a humble restaurant to a big, grand looking establishment. The restaurant is huge and cosy. Don’t be fooled by its huge building and grand facade that might trick you to think that the expansion comes with exorbitant prices. Far from that, after having lunch there it proves us wrong that Kam Ling can still serve good food without increasing the prices. The prices are still very affordable. That may explain why the patrons are never ending. We ordered a few other dishes besides chicken curry bread. 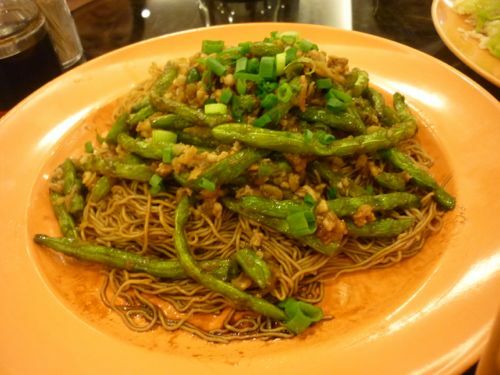 I love its signature fried noodles (sang mee) that topped with long beans and minced meat. It’s very authentic and can’t find elsewhere. Kam Ling is located one street next to the main road. The old restaurant still in operation and it’s selling their limited supply but fast selling char siew pau (BBQ pork steamed bun). Telephone : 605-466 1174, 6016-533 2226, 6016-551 1174.